Interpreting Catcher in the Rye: The one big mistake people make. J.D. 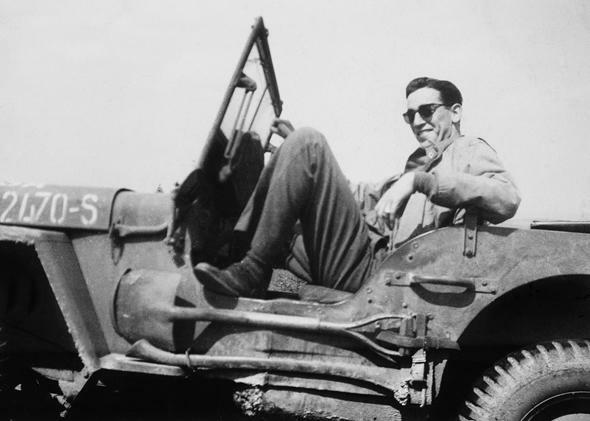 Salinger, who is the subject of a new book and film, pictured during the liberation of Paris in 1944. I didn’t want to write this piece. I’ve got Salinger fatigue, and I bet you do too. But it always happens. Salinger controversies (like Nabokov controversies) keep pullin’ me back in. But the new Salinger book and film have pulled me back in, because they both perpetuate a fundamental mistake about The Catcher in the Rye, a mistake worth correcting. Now there is much to admire about the reportorial coup of the book and film: the revelation that before his death, Salinger had scheduled five new books for publication in the years between 2015 and 2020. If this proves to be true, as director Shane Salerno and co-writer David Shields assure us it is, it would be exciting. Of course we have to take the word of the two “separate and independent” anonymous sources Salerno and Shields cite. Which is why the Salinger estate should abandon the completely unnecessary silence they’ve maintained till now, so far neither confirming nor denying the report about the new works. Come on guys, the Silent Writer is dead. Nobody wants to play your reindeer games anymore. I can’t say I feel the same enthusiasm about the book’s sketchier “revelation”: That Salinger’s psyche was distorted by his alleged shame over the alleged fact that he had only one testicle. Maybe my lack of enthusiasm for this “scoop” has been influenced by having to deal with persistent ludicrous attempts to “explain” Adolf Hitler by means of the dubious one-testicle theory. But one thing the book and the movie have in common that must be dealt with is a big mistake about The Catcher in the Rye. I didn’t pay much attention to Catcher in my recent piece because I was focused on the reverence for Salinger’s Glass family stories. And because, let’s face it, The Catcher in the Rye has not lacked for attention. But I was shocked to see the recrudescence (gotta love that word!) of an elementary mistake about the way to read that book—whether you like it or not. A mistake about how to read any work of literature. In Salinger (the book) co-writer David Shields (who has written novels) opens an entire chapter called “Assassins”—devoted to Mark David Chapman and a couple of other psychopathic idiots who have taken Holdenesque rage against phonies to horrific conclusions—by claiming that this is the “wrong” interpretation of the novel, this identification of Holden and Salinger. And yet there it is on page 259, some 200 pages earlier, presented as the big reveal of all the authors’ reporting on Salinger’s inner torment. The co-writers pick up from a reported conversation in which Salinger (like any number of novelists) spoke of his character, Holden, to a friend, as if Holden really existed. Aha, the authors virtually high five each other: proof! Um, no. Do I have to say the obvious? I feel like I’m telling a child about Santa Claus. Or a 17-year-old (Holden’s age and the age beyond which anyone should know this): Holden does not exist! Holden is a fictional character in a novel by J.D. Salinger. And J.D. Salinger was a gifted 30-ish writer whose accomplishment in the novel was precisely the ability to distinguish and distance himself from Holden’s over-the-top, hysterically polarized division of the world into pure and impure people. To observe it with beautiful verisimilitude, to sympathize with its ardent romanticism to an extent, but not to endorse its hysteria as his own. It’s a mistake that any freshman English major should be able to avoid: confusing the author of a work with the fiction—and characters—he creates. Not that there’s never any relation, but one should be able to read a work, to allow it to speak for itself in complex ways, to recognize it may contain conflicting points of view, without having to mind-read its dead author or map his life into his work in a simplistic way. Or reduce the work to a single point of view. The best novels resist reduction. That’s what fiction is about isn’t it, you know? Creating “characters” who may be different in some respects from the author? Characters who are not always spokespuppets, characters who sometimes may actually represent different perspectives, perspectives that can be critiqued by the perspectives of other characters in the book. In fact the conflict of multiple perspectives is one of the things that often make literature different from, richer than most mere memoirs. It’s just so pointless to reduce the entire novel to some equation: S equals Holden minus one you-know-what. And it emphasizes the damage that biographical criticism can do to our ability to see a writer’s work. It’s a reading that diminishes the achievement of the book drastically. Makes it seem to be a novel that would appeal only to those 17 or under. And by the way, if you haven’t read it since you were 17, I’d suggest you reread it now. You’ll appreciate just how different it seems to you as an adult, something lost apparently not just on the Salinger authors and Mark David Chapman but on many who haven’t read it since adolescence. Since the point is so important—the point that the novel contains different points of view from Holden’s, and contains its own critique of Holden’s point of view—I will make explicit a couple of those conflicting points of view J.D. Salinger (you know, the author) conspicuously inserted, practically waving red flags for all but those blinded by misapplied biographical criticism to see. I am not the first to point these out, of course. They have been obvious to just every intelligent reader and critic. But it’s worth reiterating them, since the movie, and book, and even some commentators on both seem to be getting things confused. 1) First, if you haven’t recognized how totally over-the-top Holden’s condemnation of everyone but himself (and some nuns) for being phony is (and if so you are humor-deprived you can’t see how even Holden makes fun of himself for his ridiculous over-the-topness) you will find, two-thirds of the way through the book, an absolutely key passage in a scene with Holden’s former teacher, Mr. Antolini. Exactly! This is the corrective or at least conflicting point of view to the reader’s natural tendency to identify with such a charming voice as Holden’s. In Franny and Zooey, a similar (if more sentimentalized and religiously didactic) perspective rescues Franny (another Holden type who hates insensitive people a bit too much) from her oversensitive nervous breakdown. The advice Seymour gave to the lesser Glasses: to always think of “the Fat Lady”—the anonymous prole listener to the Glass family radio quiz show out in the sticks—as Jesus Himself. Stop thinking you’re better than everyone. Phoebe responds with acerbic impatience to this fantasy of chivalrous grandiosity by drily correcting the quotation he derives it from. (It’s “If a body meet a body,” not “catch.”) She’s not buying it. Neither is Salinger. If Salinger seems to weight the point of view of any character in the book it’s not Holden, it’s Phoebe. 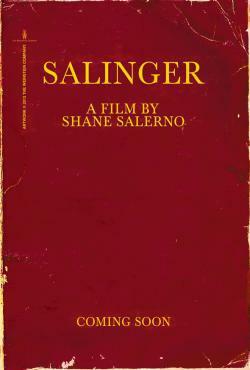 3) Similarly, the fact that Salinger called the book The Catcher in the Rye does not mean he endorses Holden’s fantasy. No matter how Mark David Chapman read it, the book is not meant to be taken as advice on how to hate phonies and save all the innocents in the world from terrible, terrible people like John Lennon. 4) There’s also the fact that Holden is undergoing a nervous breakdown (he writes the book from some rehab-like facility) and that his emotional life has not recovered from the loss of his little brother Allie to childhood cancer. And so his point of view on the world derives from (justifiably) disordered thinking. One shouldn’t take him as a guru. Indeed, if I had one criticism to make of Catcher, which is otherwise a work of art exquisitely poised between romantic affirmation and realistic critique of Holden, it is that this dead-child MacGuffin is a kind of over-obvious literary thumb on the scales that is really unnecessary, makes it too much a sob story. The reader should be able to glean that this is if not an unreliable narrator, an unstable narrator, even without that detail. 5) Did I mention humor? Let me mention it again. What makes the book so great, what makes Holden’s self-pity tolerable, even enjoyable in a way, is just how funny he can be about himself as much as or more than about others. He’s almost always onto his own game. Which suggests (since as I’ve tried to point out Holden isn’t real) we can attribute this sense of humor to J.D. Salinger. It’s something purely delightful and something often frightfully absent in later Glass stories no matter how much he strains. It’s also something sadly missing from the new Salinger book and film. But it was there once and you have to have a heart of stone not to laugh at it. I should say that—setting some reservations about the cinematic hyping of the melodrama, and that mistake about Catcher aside—I like Shane Salerno’s obsessiveness, I don’t find it offensive that he cared that much about a writer he loved. And one must pay tribute to his doggedness and perseverance—and its payoff. He found the answer (if, as I hope, his sources are right) to the question we all have; will there be more Salinger work? And some of the new stuff, including a counterintelligence officer’s diary and a World War II thriller, sounds truly intriguing. And a great relief! It almost sounds as if Salinger found a way to escape the Glass family trap (the trapped family Glass?) by writing explicitly about his wartime experiences. And I will say there is one revelation overlooked by most reviewers that I loved about the new Salinger book. When I was in high school I wrote a super earnest column in my high school newspaper protesting the cancellation of a now long-forgotten sitcom called “It’s a Man’s World” after only a handful of episodes. I wasn’t sure why it struck me but it was about three kids living on a houseboat with their father and it was funny in a subtle way. It wasn’t like other sitcoms. Indeed the Tewksbury project got as far as casting. That’s right: Salinger was ready to allow a film to be made of one of his most beautiful short stories, “For Esmé With Love and Squalor,” to be directed by Tewksbury. They had a script! Mainly Salinger’s own words. The only hitch was that Salinger wanted to be the one to cast Esmé. And Tewksbury—in what I feel is a heartbreaking mistake—decided he couldn’t work with Salinger’s choice. This, it seems to me, is the great reveal of the book, the road not taken. It seems tragically foolish for Tewksbury not to have gone ahead, rolled the dice, taken the chance. Who knows, could have been a disaster, but could have portended something wonderful. I could have told you that from my high school newspaper editorial. I was 17.